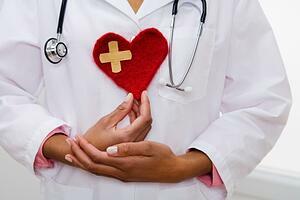 In late July, the Centers for Medicare and Medicaid Services (CMS) proposed a bundled payment program for cardiac procedures involving heart attacks and bypass surgeries. This is part of the agency’s initiative to shift payment from quantity to quality incentives, which means hospitals will be accountable for the quality of care a patient received during their stay and for 90 days after their discharge. Hospitals will be paid a fixed price for each round of care they provide. If a hospital hits higher quality targets while providing that care, it will be qualify for a higher payment. Here is how the proposed CMS cardiac bundle could affect your hospital. It’s a random selection process: Hospitals from 98 randomly selected metropolitan statistical areas will participate. If your facility falls outside of these areas or is located in a rural county, it does not have to participate. It will start in summer 2017: The proposed start date for the bundle program is July 1, 2017. The CMS is proposing that the program be implemented in two phases to give hospitals time to create and establish processes to adapt to it. Downside risk will be added in the second performance and will be capped at 5 percent. It could affect MACRA’s advanced alternative payment models: The proposed bundle allows physicians to potentially qualify for MACRA’s Quality Payment Program for Advanced APMs, which means they could earn a lump sum bonus. The American Hospital Association thinks forcing hospitals to participate in the bundle program would create a larger burden because many of the hospitals that would likely be selected are already participating in CMS’s Comprehensive Care for Joint Replacement Model (CJR). However, if hospitals feel they are being asked to do too much either by complying with both programs or just the cardiac bundle program, they should let CMS know in the formal comments about the rule, healthcare lobbyist Martin Corry pointed out. You can submit feedback on the proposed cardiac bundle until September 24. The American Heart Association praised the proposal saying to would help patients better utilize cardiac rehabilitation services. Healthcare consulting firm Avalere predicts that 85% of hospitals required to participate in the model will experience changes in payment of less than $500,000 per year. Most of a facility’s spending happens during the inpatient stay for surgical episodes. Therefore, Avalere notes that if your facility wants to see savings, you’ll have to focus on reducing costs during inpatient procedures. Since your organization has no way of knowing whether it has been chosen to participate in the bundle program ahead of time, preparing to excel under the new payment methodologies will allow you to succeed under the bundle model and the new payment models that are beginning to pop up throughout the country.